Agriturismo, they’re called in Italy. They give you a chance to stay in a rural setting and, maybe if you’re lucky, become part of the family for a day or two. They give small family farmers an financial option other than selling to big farming operations or to developers. 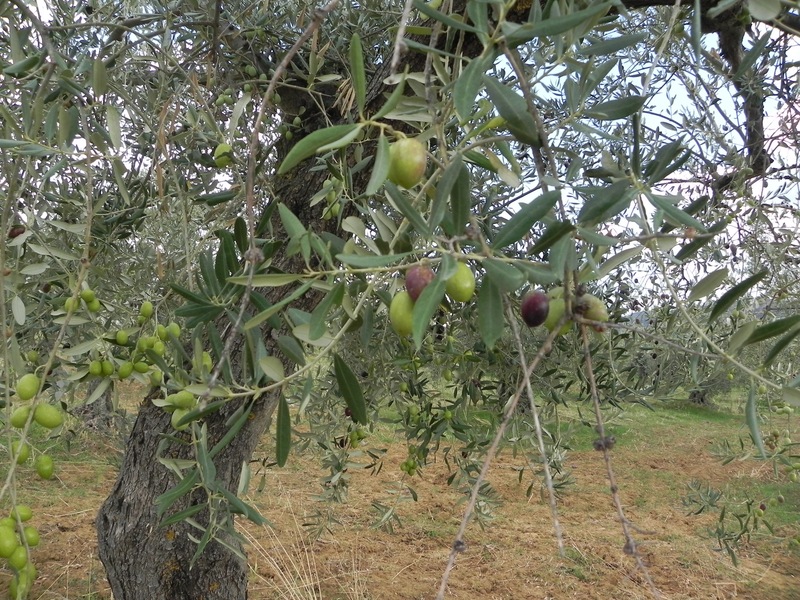 Often the owners get a tax break for keeping the farm going and raising a traditional crop — olives in our agriturismo in Italy, truffles in the farmhouse in France, coffee in Costa Rica — and make a profit by opening the farm up to tourists. But as our host said in Provence, the money from tourists is easier than farming with a higher return! 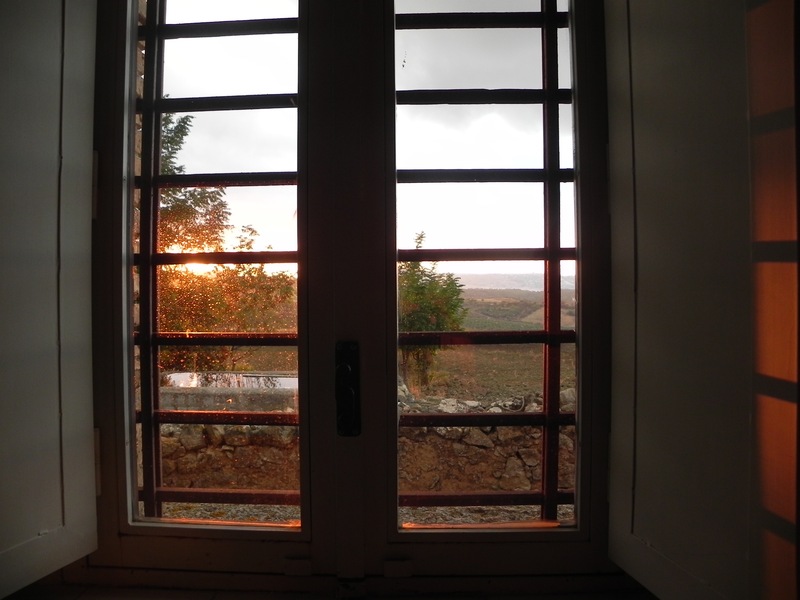 In Sicily we stayed in a masseria, a term to describe a farm community in remote areas that belonged to a pardone or landed gentry, and included everything and everybody needed for self-sufficiency. Housing for the men who did the actual work —- the plowing, harvesting, who built and maintained the wagons and plows, who tended the horses and cows — plus their families who probably worked as cooks, grooms and gardeners. Space for building wagons, storing crops, and maybe forging tools. 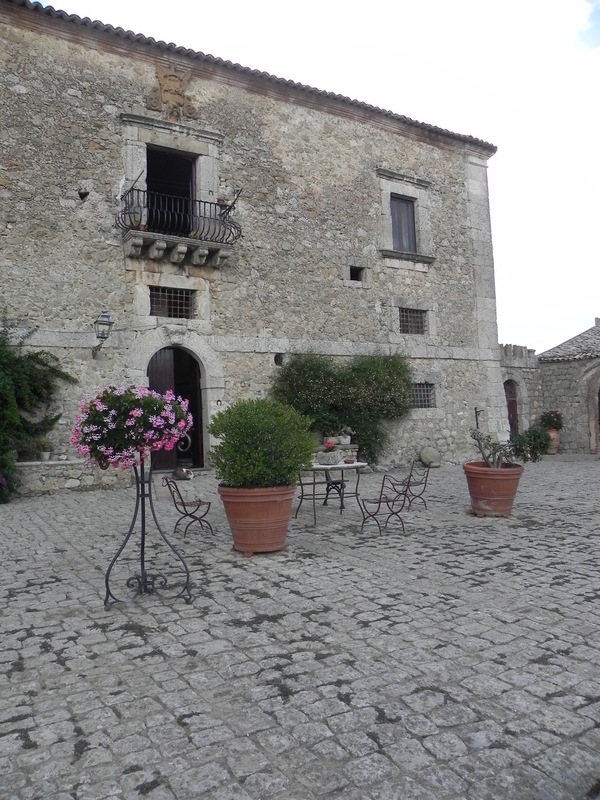 In our masseria, near Enna in central Sicily, the main house formed one side of a large square courtyard that opened to the long drive up a hill lined with trees. The entrance, I suspect, was meant to impress. The remaining three sides of the courtyard were storage and work rooms, facing into the courtyard. Perhaps originally for grain or hay storage, stables for the padrone’s horses or laundry rooms. Today those rooms had been converted into banquet facilities and a breakfast room for the guests. The other necessary farm buildings were outside the main courtyard and behind the big house — including the workers quarters. 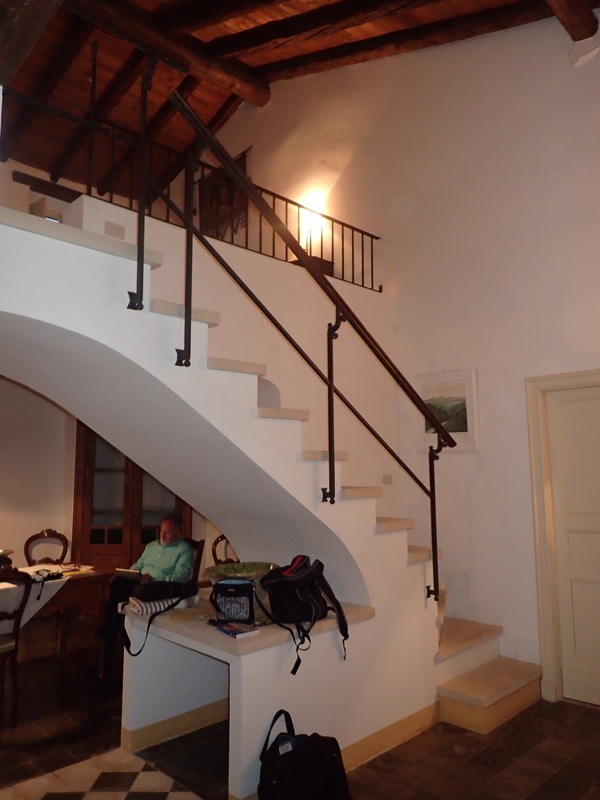 As paying guests we stayed in the workers apartments, although transforming stable into bedrooms for guests is not uncommon. Our room had been beautifully restored and modernized with all the amenities including air-conditioning. Certainly better than the farm workers had it 200 years ago. The best part of an agriturismo usually the host, often gregarious and charming as someone in the tourist industry must be. They are loaded with information about their region. They can give you insider tips on sites and restaurants you might otherwise miss. They can fill you in on the lore of their often historic homes. And they’ll probably share with you the wine, or olive oil or crops their farm produces. The highlight of our stay in Sicily was the evening of wine, bread and olives with our host. Friends raved about the day they got to help with the grape harvest in Umbria on an agriturismo. Riding in a truck to the coffee co-op with our hosts at a Costa Rican coffee farm was not something the average tourist gets to do. Breakfast is almost always included in an agriturismo. Some even include dinners as well. I was a bit surprised to be presented a hardcooked egg, cut in half along side a thick slice of fresh ricotta cheese and over both was a good amount of olive oil, salt and pepper. Divine. The cheese completely lacked the chalky consistency I associate with ricotta and the egg was farm fresh. And of course, breakfast included bread and homemade orange and tangerine marmalade, as well as honey. 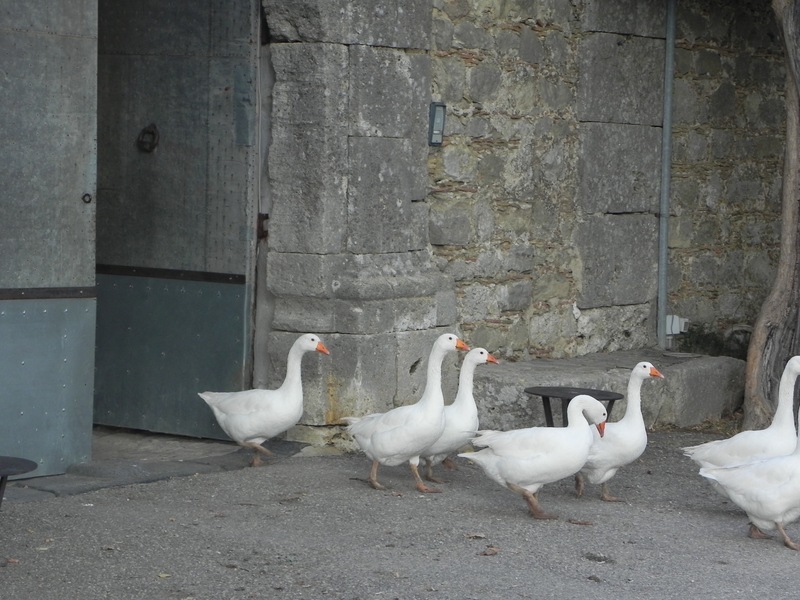 The down side of an agriturismo is they are often in more rural regions where quiet can be too much of a good thing. And because these places are often somewhat remote and isolated, guests may find the wifi is slow or non-existent, cell phone coverage is spotty and televisions aren’t included. And if meals aren’t served, the drive to dinner can be long and tricky though country roads and into poorly lit villages. But we prefer to think about the inconveniences as adventures and one way to keep pieces of country life alive.